In the first part of article (see here) we mentioned two top performing online travel sites in UK. In this part we’ve discussed three other channels that come in top five lists and shaping the travel industry in UK. Primarily a flight comparison site, Skyscanner has forayed into hotel industry recently, but already making significant moves. The site has been one of the top travel search sites in Europe with 35 million unique visitors, and now with separate mobile app for flight, hotel and car hire the travel major is in a unique position offering complete package to potential travellers. According to Deloitte, Skyscanner, the hotel and flight comparison site has grown by over 42% from last year, a transformational phase which saw non-flight booking contributing to 47% of its revenue. TravelRepublic is one of the largest and most well-established online travel agents in Europe, with over 2 million holidaymakers booking annually through their websites in the UK, Ireland, Spain, Italy and Germany. The OTA major has access to approximately 300,000 hotels, apartments and villas and receives over 1,000,000 visitors a week making it one of the most sought after online travel channels in UK. Some of you are already aware about NuStay. 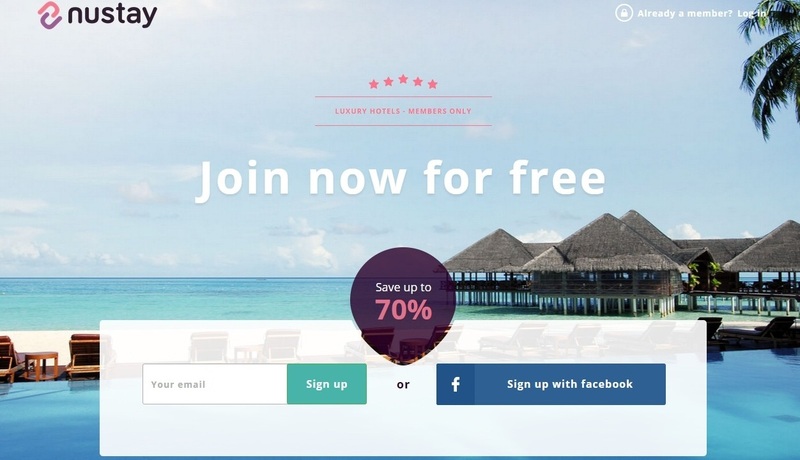 It is a travel start-up launched in July 2015 with investors from London, Copenhagen, Oslo and Dubai aimed to provide travelers better booking rates and at the same time offering the hotels a way to submit unique offers to each individual guest, either manually or automatically, at a discounted rate. A PhoCusWright report shows that, 70% travellers prefers their suitable rooms at a discounted price and they wait for the right moment to book that accommodation. Accommodation providers consider luxury travel is their major source of revenue – around 77% accommodation providers sell luxury trips, making luxury travel one of the top revenue generating segment in online travel. This trend is the USP of NuStay- the company provides luxury rooms in budgeted price with its unique algorithm that finds best matched luxury hotels for their consumers. An interesting thing about this company is they negotiate discounted rates for its guests with their hotel partners which no other company has done yet. You might have a team of revenue managers continuously updating your inventory on major online travel channels you are connected to but if you don’t keep an eye on these channels then for sure a large number of your rooms will remain vacant for the day- losing handsome revenue. As a major share of all hotel bookings are shifting from desktop to mobile this new types of channels are becoming a key distribution medium for your hotel distribution. Make sure your revenue managers are taking right decision and promotional tactics which is compatible to fulfil increasing demand of your potential guests. The good time is back for the UK hotel industry. With economy firmly on the track after six years of recovery, travel mood in on the positives. However, the past few years of challenging economic condition has altered the mindset of travel consumers. They are more alert and are watching their pounds as they make arrangements for their travel. According to a Deloitte survey, 59% of holidaymakers today compare prices online, maintaining their recessionary behaviour. Historically high spenders, today’s British travellers are more likely to be influenced by peer recommendations than brand loyalty. The emergence of price comparison and review sites has changed the consumer purchase path from linear to multi-channel and fragmented. The digital revolution has empowered consumers with access to easy information, more product choices and a medium to raise their voices. It’s no wonder; TripAdvisor today is UK’s top travel site with 27.1 million monthly visitors. The evolution of travel from a seller’s market to a buyer’s market is now almost complete especially in matured markets. Hotel needs to get out of the cookie-cutter approach and relook at their distribution strategies. Here are my picks of five channels in the United Kingdom which have set new rules. 92% UK travellers read TripAdvisor review before choosing an accommodation -making the travel giant the most popular travel site in UK. It took them fifteen years to reach where they are today, but TripAdvisor today has become the single biggest travel influencer. 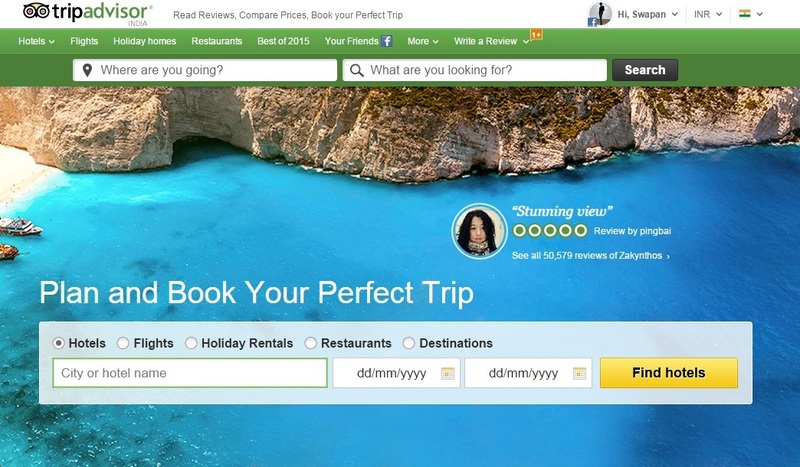 Last year the guest review giant launched it’s much talked about Instant Booking feature, which allows users to research, compare, choose and now book hotels, in other words, complete the buying journey while staying within TripAdvisor user shell. Much though it would like to deny acting as an OTA, fact remains that after the launch of instant booking feature, TripAdvisor now has advantage of being a review site, meta-search and booking engine – all within one platform. 50% travellers in UK take short breaks at the last minute. The country where 6 million people use mobile phones to book getaway breaks on the same day it is no wonder that last minute travel will play a major role for generating revenue to the hoteliers. According to a recent report by PhoCusWright, about the 30% bookings that come from Hotel Mobile booking platforms; 70% of them are for same day bookings. This makes LastMinute.Com, which offers hotel rooms at a heavily discounted rate for the last minute travellers, in an advantageous position. Acquired by Travelocity in 2005 the company currently serves 17 million British travellers who rely on the accommodation provider for their last minute booking decisions. In the later part of the article we’ll discuss about three more top performing online channels in UK which you need to focus on. One of the youngest regions of the world with over 50% of the population aged between 18- 34, travel in United Arab Emirates is largely influenced by digital experience. Always connected and eager to research, millennials in the country have become trend setters in the online travel segment. Empowered with easily available information, they are forcing hospitality brands in the region to realign their marketing strategies according to their preferences. Data analysis is not new, yet everyone seems to be talking about it. What is new is the way companies are approaching using data as a core element in their day to day decision making. What is also new are the variety of tools available to measure and report on data. Whether you are a large enterprise company or an SMB, there are four key elements a company should embrace to execute better business decisions using quantitative data –training, measuring, balancing, and choosing. For the first time, Google users can book a hotel room without ever leaving the search giant’s familiar desktop interface. The addition of assisted booking to Google.com/hotels, the search giant’s metasearch tool, hasn’t been officially announced. But the Google-faciliated bookings appear to be slowly rolling out across a select handful of listings in U.S. desktop search. Hotel marketers can take a page from most of the OTAs’ playbook and apply those lessons to their own direct presence. Here are six e-commerce tips that can help you shift share away from OTAs and drive more direct business for your hotel. In the first part of article (See Here) I mentioned two top performing online travel sales channels in the Middle East. In this part I’ve discussed three other channels that come in top five list and shaping the travel industry in the Middle East. Increase number of smartphone adoption, growing middle class and millenials getting online- these factors are creating more opportunities for travel agents to adapt new strategy to reach out new age customers. 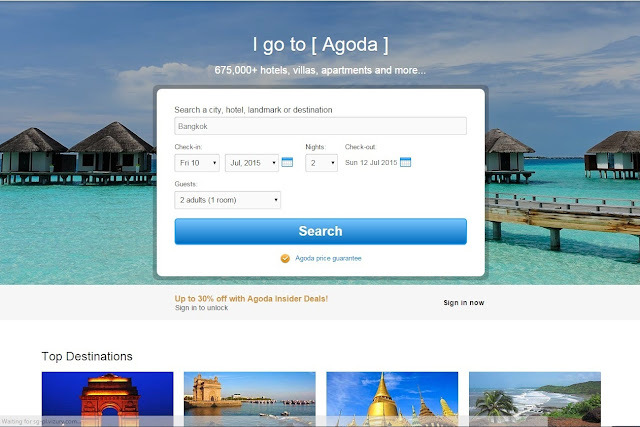 Agoda, a Priceline company is one of the most popular online travel agency in the Middle East. According to a recent report by Skift, Agoda receives total 30.7 million unique visitors per month to its website of which majority of traffic comes from APAC and ME. 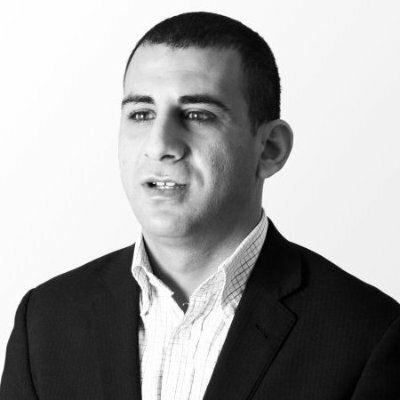 The channel is gaining preference as a leading site among Middle-East bookers by adding inventory, enhancing mobile functionality and localizing content. Agoda has listed 1,211 properties in its website out of which 846 for Dubai only. India based Cleartrip launched in the Middle East in 2011 with a $10 million investment and has become a key channel since its inception. Here travelers are more comfortable with the idea of booking online. Due to increase of smartphones and more online travel brands coming into the market, educated travelers comfortable with modern technology are visiting OTAs for travel arrangements rather going to traditional travel agents. Cleartrip which is new in this region has impressively acquired a large customer base, especially millennial travelers. Over 113,000 hotels worldwide are currently connected to Cleartrip and receives over 6 million unique visitors per month, while growing at 30% year-on-year. Quarterly Mobile Insight for Q4’ 2014 of Cleartrip shows over 53% of the total traffic emanates from the mobile channels overshadowing the desktop channel and over 70% customers use mobile as their only channel for transactions. The more interesting fact is 15% of Cleartrip’s bookings in the Middle East and 25% of searches come from mobile as customers seem more confident of booking on mobile than on the website. Online commerce in the Middle East is still in the early stages of development, but the region’s travel industry is growing fast, both online and offline. Online travel sales in Middle East in 2013 were US$ 2.3 billion which grew at whooping 17% last year. AsiaRoom is largely focus on the APAC and Middle East and provide destinations in the premium location Singapore, Tokyo, Kuala Lumpur, Bangkok and Dubai for quick booking. AsiaRooms operates in approximately 180 countries, serving more than 30 million customers in over 20 source markets. Middle East travel region is one of the fastest growing travel markets in the world- this gives a bigger scope to the online travel agents to reach out to the large consumer base. Although, new online booking channels are heavily investing in the region still a large number of travelers rely on the 6,000 existing traditional travel agents. As the Middle East is a diverse and complex market with unique online benefits and challenges hoteliers need to manage their rates and availability on regular basis with sophisticated channel manager like RateTiger. Contact us today if you want to connect with these channels or want a platform to manage these channels smartly. Close to 12 million travelers will visit Dubai this year, making it the fifth most popular city in the world for international visit. In spite of the political volatility in the Middle East, the outlook for the hospitality industry in the United Arab Emirates remains strong. The growing importance of Dubai International Airport, which has become the world’s busiest airport in terms of international passenger traffic, has contributed immensely to the growth of the hotel industry in Dubai. A high spend market, OTA sales in the Middle East have reached USD$3 billion in 2014, representing about 17% of total sales. With 94% of the populating owing a mobile device, there is a clear shift in booking patterns toward mobile and tablet booking devices. Traditionally a last-minute market, the surge of mobile connectivity has also reduced the booking window considerably. Compared to the word average of 23 days, the average hotel reservation lead time for UAE is now a mere 13, one of the lowest. Online travel bookings, which represent 25% of all bookings in the Middle East, are forecast to grow in 2015 and 2016 to reach 36% by the end of 2017 when online revenue is expected to reach $35 billion. In this article we list out five online travel agents who are playing vital role in shaping the online travel industry in the region. With over 1000 listed properties, Booking.com is the most popular travel agency in UAE. The Priceline owned OTA major has expanded its listings in the region by about 25 percent over the past year, comprising 200 new properties. Dubai ranks sixth in terms of global inbound travel bookings for Booking.com, and the channel controls over 50% on OTA market in the region. With 166 million unique visitors per month to its website Booking.com still rules the online travel by a large margin over its competitors Expedia and TripAdvisor. The online travel major is not only holds number one position in terms of unique page visits but also in total room nights booking. Every day over 850,000 room nights are reserved onBooking.comthrough its website and mobile apps attracting travelers from both the leisure and business sectors across the globe. Though travelers in this region search their favorite destination, preferred hotel online, but when it comes to bookings, they prefer to traditional travel agents to make a purchase. In the last couple of years OTAs in the Middle East has grown rapidly at compound average growth rate of 18% with Expedia.com—the first OTA and one of the key players in the region. 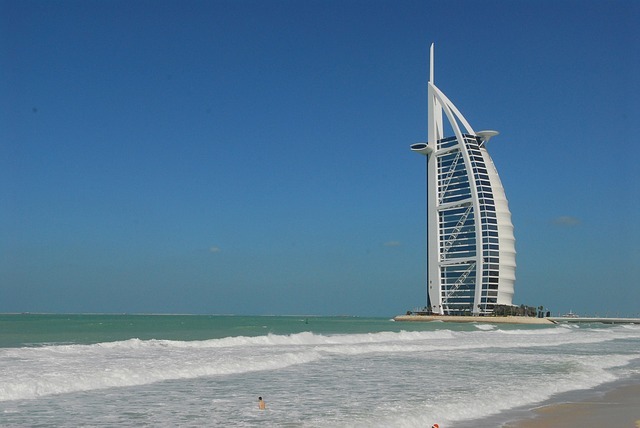 In 2012 online travel sales in the Middle East estimated 2.3 billion or 13% of total travel sales. To reach out growing customer base with high disposable income, familiar with advanced technology and excited about living a modern lifestyle online travel agent like Expedia is coming up with new offerings that suit their customer portfolio. With 59.3 Million monthly uniquevisitorsExpedia.com is the third largest online travel agents right behind Booking.com and TripAdvisor. The company has around 800 properties listed in its website and is the second most sought after online travel agents in Middle-East. In the later part of my article I’ll discuss three more top performing online travel sales channels are shaping the travel industry in the Middle East.